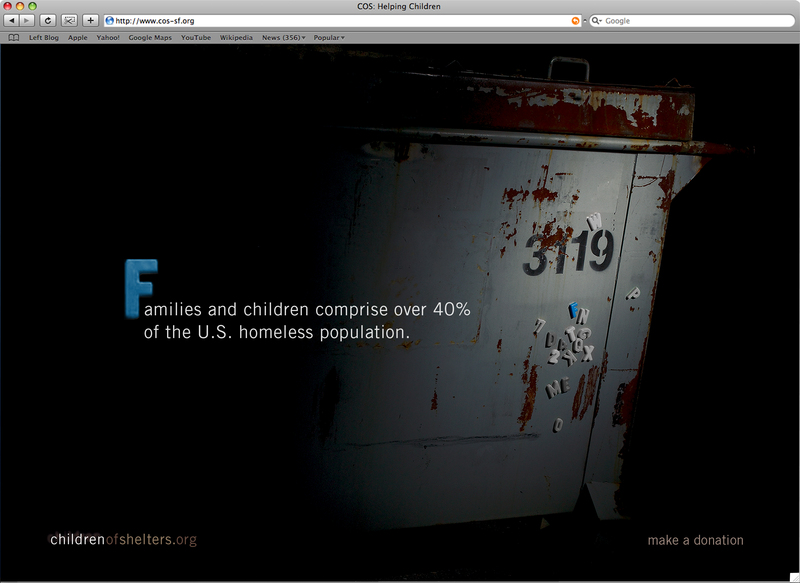 The statistics around childhood homelessness in San Francisco are astounding. So, we used the most compelling fact as our copy line, and visually brought to life the ominous concept of a child’s only home being the streets of San Francisco. To add impact, the ads were placed where the message would truly hit home: In backlit transit placements, which were especially effective when homeless children are at their most vulnerable… At night. On our landing page, visitors were invited to roll over “refrigerator magnets” on a dumpster to discover facts about homelessness in San Francisco, and ultimately to make a donation. The campaign received local news coverage that solicited a huge response from many San Franciscans including the Mayor’s office. In addition to talk value, the charity saw a huge increase in volunteer inquiries, corporate grants and donations.